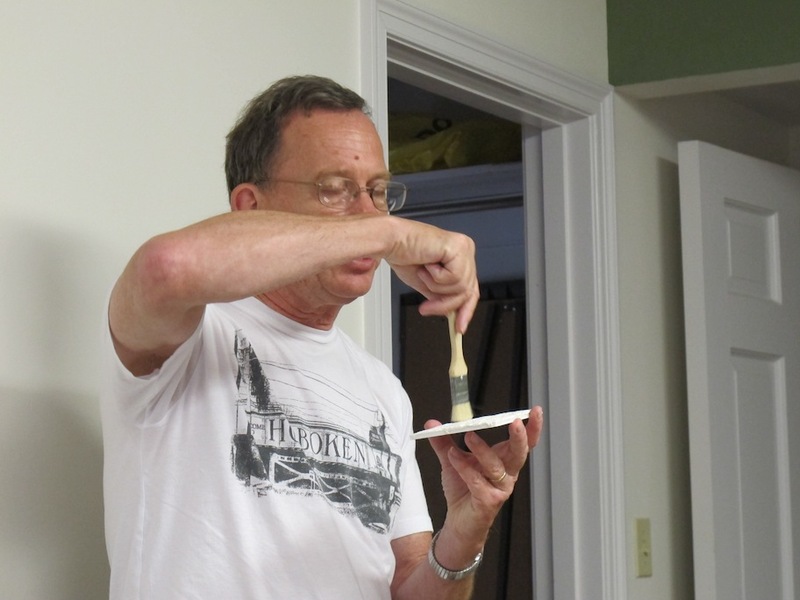 At our September meeting, Vice-Chair Ron Hoess along with miniature artist and our excellent photographer, Deb Mackie (White Horse Studio), presented an extensive workshop on how to create miniature settings that look aged and weathered. 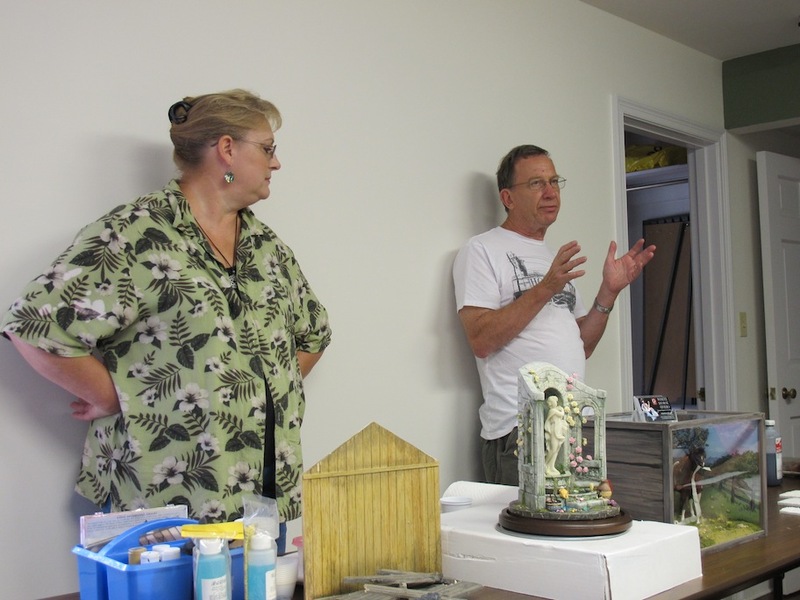 Deb and Ron present a workshop on aging and weathering techniques. As Ron reminded us, real worlds are not clean and pristine and any miniature setting that looks too neat and pretty seems less realistic. 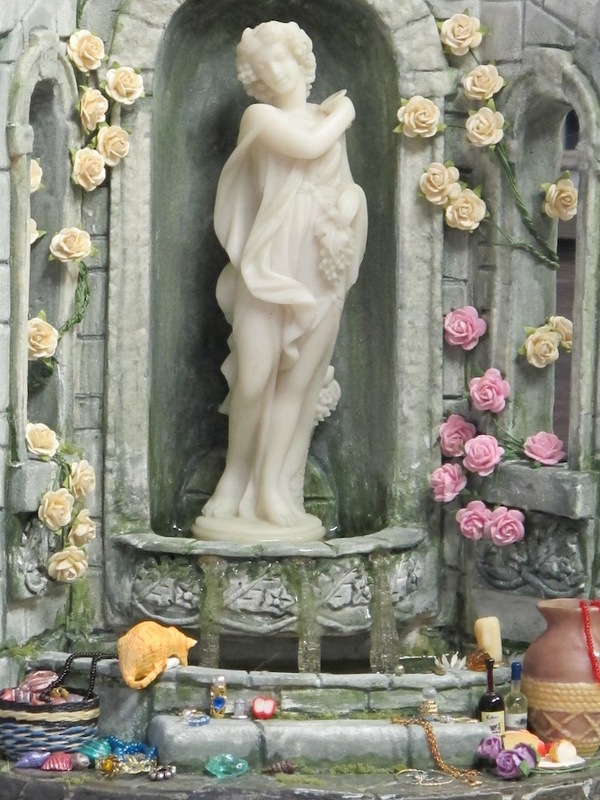 This realism is usually the goal for settings in the Flower Show although some of our works are also based in fantasy. 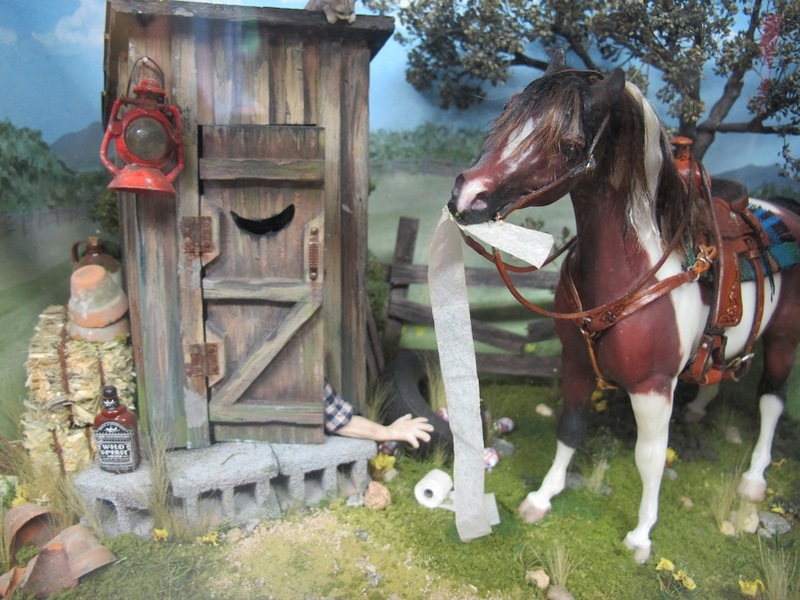 Yet even these fantasy scenes need a bit of grunge and dirt to present their stories effectively. So, these aging and weathering techniques are useful for everyone. 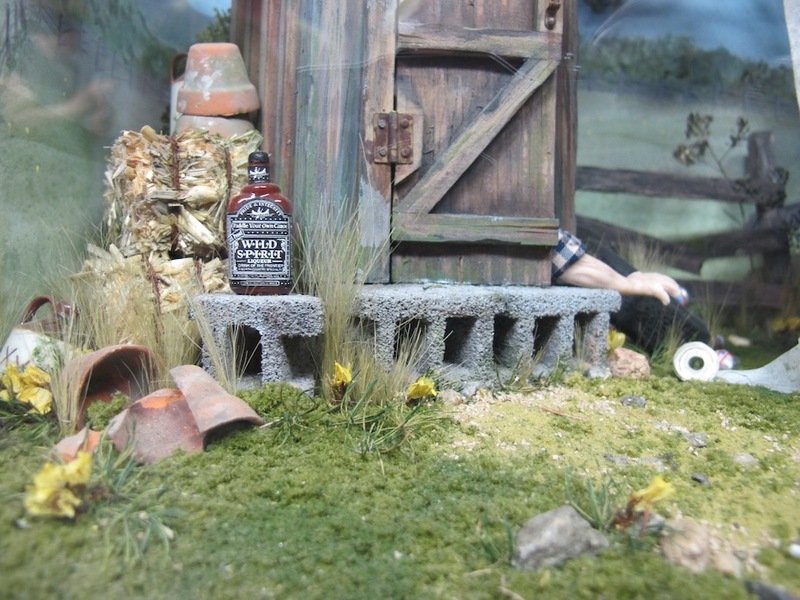 As an example of miniature artists who effectively age their displays, check out the work of Noel Thomas and Rik Pierce. Since a viewer of the miniature settings only gets a brief moment to get the overall impression of each miniature scene, consistency and a sense that nothing looks out of place is important. Here are just a few of the numerous tips and hints presented by Ron and Deb. 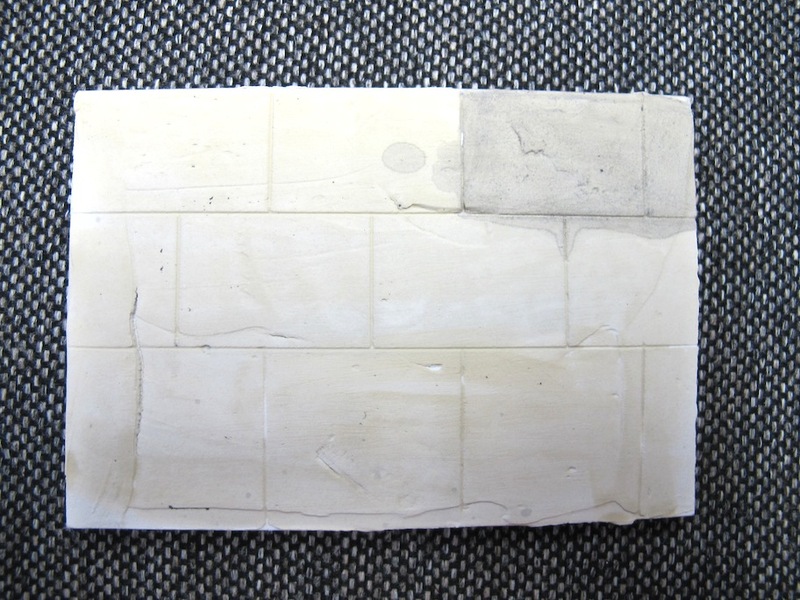 First, Ron showed three ways to create stone walls or floors. The first method uses Paperclay which you roll out like dough to flatten it and then add textures and carve in the stones. The clay stays pliable for about an hour. It needs to be glued onto a surface since it will not stick once it is dry. You can curve a design while it is still moist. 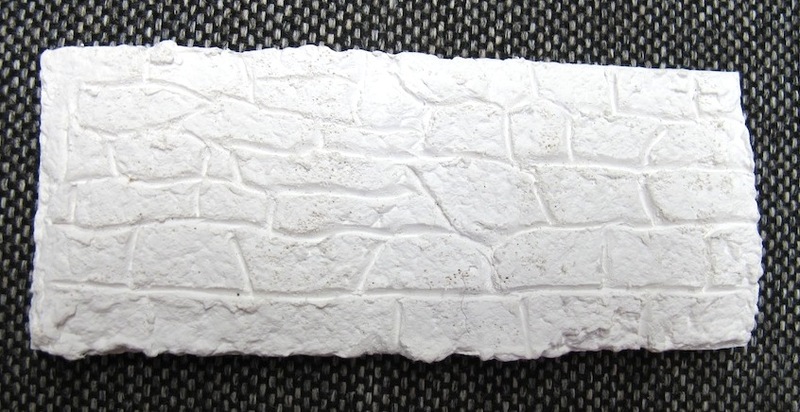 A Paperclay wall, ready for aging. Joint compound or spackling compound smoothed onto wood or gatorboard can give you a smoother surface than Paperclay. After it dries for a day it can be sanded and carved. It will stick to the surface so doesn’t need to be glued down. Gatorboard is more rigid than foam core board and will not warp as much. 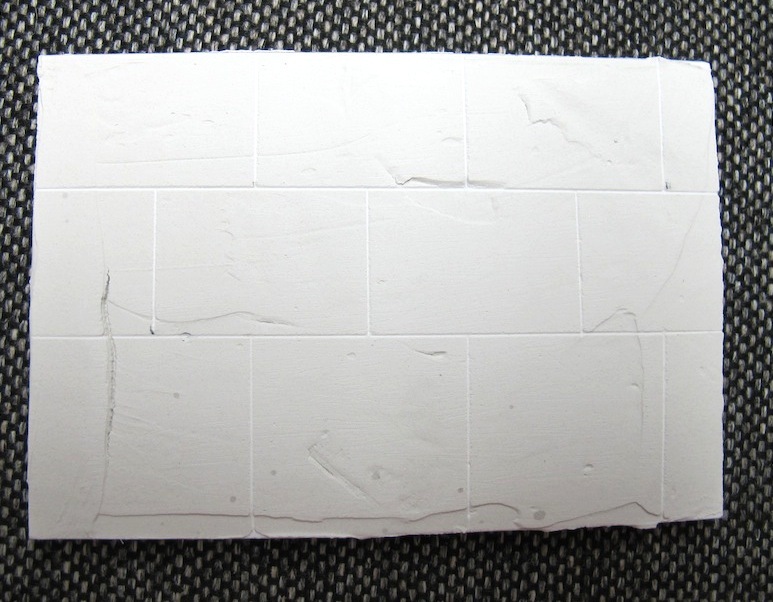 A smoother surface is created with joint compound. Sculptamold is a powder that, when mixed with water (2 parts Sculptamold, 1 part water) can be poured onto wood or gatorboard and carved with stone shapes. It begins to harden in about an hour and should be carved then, not when it is still wet and soft. Sculptamold provides nice texture to the stones. Real stonework is not uniform or perfect, so there are several techniques to add flaws and defects. Some can be cut in or pressed in with stiff paint brushes or knives. The stone walls can be sanded or banged or dented or cracked. 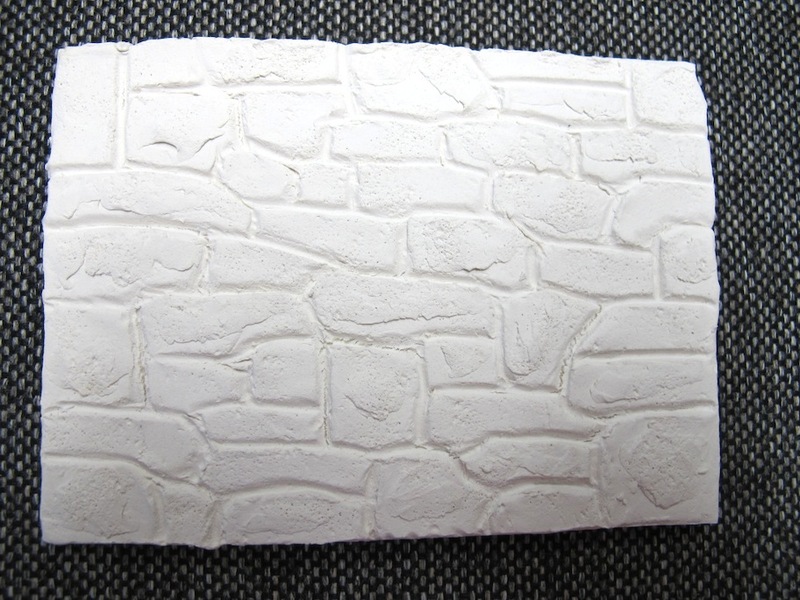 Ron adds texture to a stone wall by dabbing with a stiff, cut off paint brush. To add a weathering effect, you can start with a wash of India ink and isopropyl alcohol. Brushing this stone by stone will give an uneven effect and highlight some of the defects and imperfections in the stone. You can see a more detailed discussion of this technique in model railroading here. With this wash, our stone walls begin to take on character. 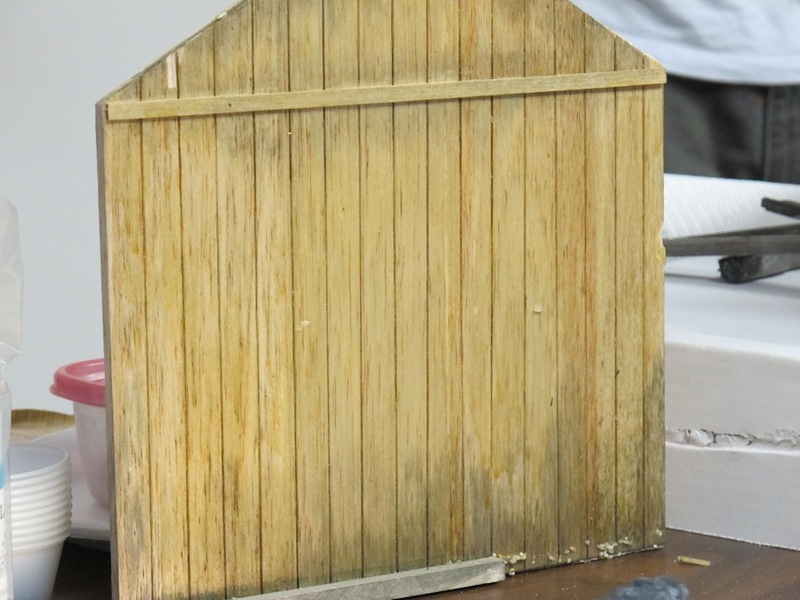 Joint compound wall with ink/alcohol wash.
Sculptamold wall with ink/alcohol wash.
Deb made this weathered fence. Note the accumulation of the darker tones at the base and the joints. Other color and details can be added with chalks, weathering powders, diluted paints and inks, eye shadow, pencils,and special weathering dyes and paint effects. Deb illustrate her finishing techniques with two displays: a fountain and an outhouse scene. Thank you so much for the wonderful techniques on weathering. Love them.